Education Roundtable – Our First SWA25 Event! On Wednesday 10 April we held our first SWA25 event – an education roundtable. 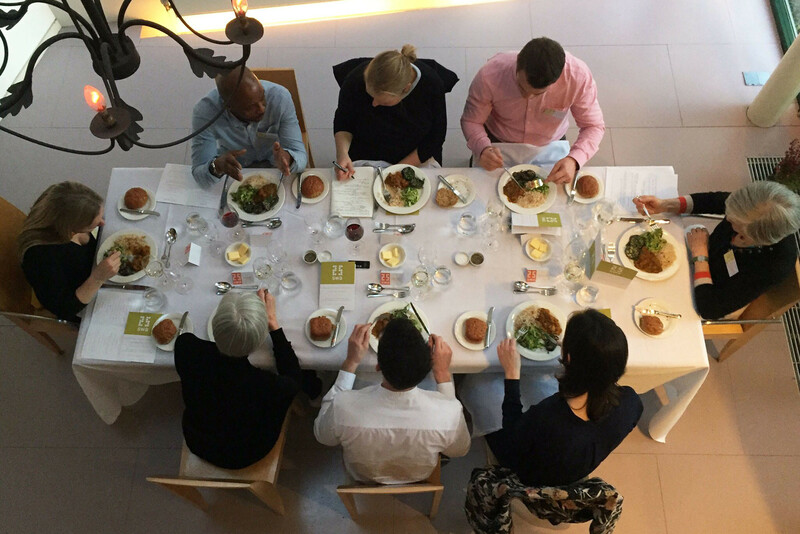 Seated around Sarah’s dining table, a well-documented space used both as a conference table and as a dining table for Sarah’s home, the panel explored debates around the question ‘What is the Role of the Physical and Sensory Learning in an Age of Digitisation?’. Coverage of the event is to be shared in the coming weeks via our SWA25 webpage, Twitter and Instagram. The panel consisted of: Siobhan Davies, Artistic Director at Siobhan Davies Dance; Fiona MacDonald, Co-founder at Matt + Fiona; Richard Roberts, Managing + Design Director at Jason Bruges Studio; Neil Pinder, Founder at Celebrating Architecture and teacher at Graveney School; Ben Clay, Pedagogy Manager at London Early Years Foundation (LEYF); Eleanor Young, Journalist at RIBA; Sarah Wigglesworth + Eleanor Brough, Director + Associate at Sarah Wigglesworth Architects.